【SAFETY & TWO YEARS WARRANTY】: Complies with CPSIA for lead and phthalates. 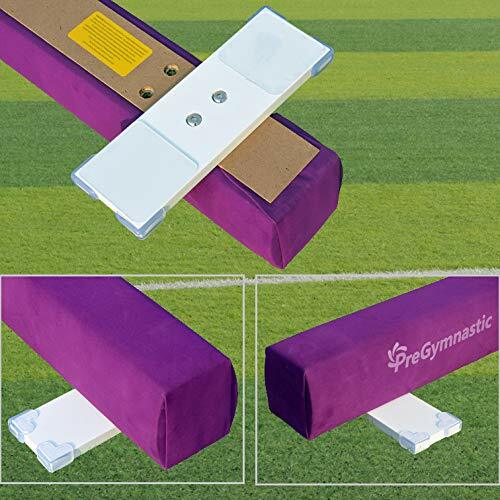 Our Wood Gymnastics floor beam is covered with high quality synthetic suede, 2 layer, which is similar to the competition beam. This is super long time using beam. 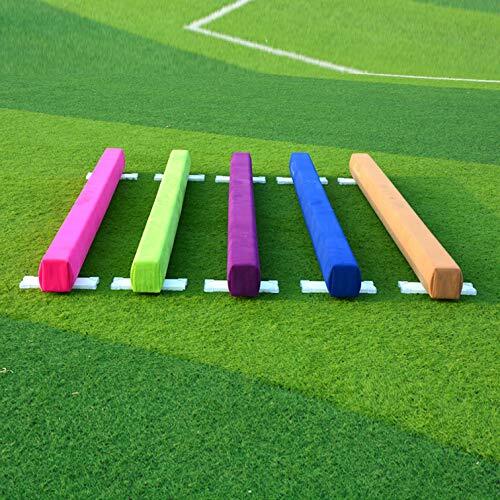 【COMPETITION STYLE FLOOR BEAM】：It is 8FT long, 4 Inch top with oval shape sides just like a real competition beam. 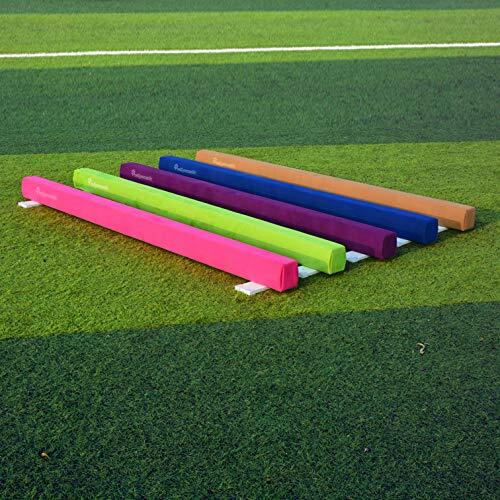 Real competition grade composite wood-core, heavy competition grade gym suede, which is ideal for skill development like walkovers, donkey kicks, handstands, jumps, leaps and Somersaults. 【TIGHT COVER & STRONG WOOD CORE】：High quality Synthetic suede is tightly covered upon whole beam, there is no waves during spinning or other actions on the beam. Static load of the wood beam core can reach above 600LBS, which leaves parents no worry about the safety of this beam. 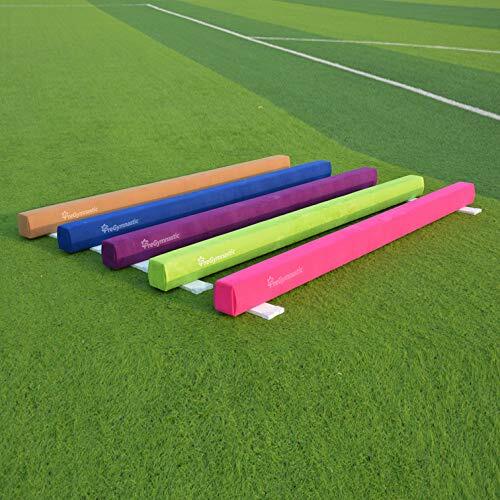 PreGymnastic is specializing in DESIGNING and MANUFACTURING gymnastic home training equipment and accessories, such as Balance beams, Gymnastic training bars, Mats, etc.We design, produce and test the balance beams directly and guarantee high quality at competitive prices. We take pride in providing you with “the right” equipment or accessories that support your fun activity or hobby. 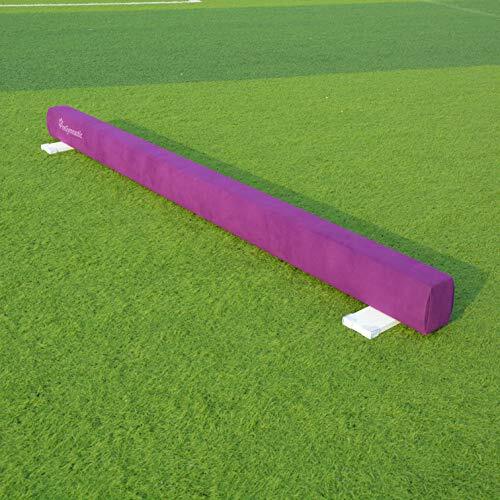 DIMENSIONS:8′ long, 4″ wide on top （the same as competition beams）and 6.3” high. 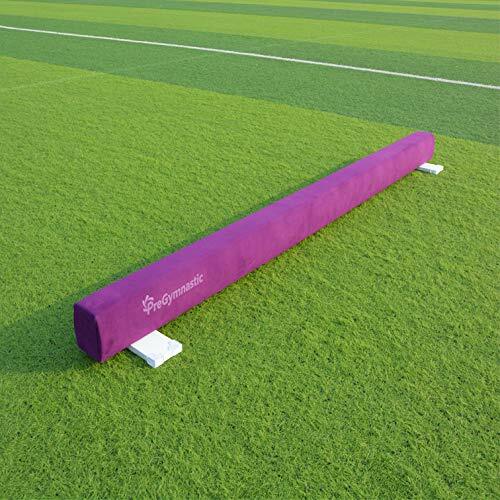 MATERIAL: Real competition grade composite wood-core, heavy competition grade gym suede, which is ideal for skill development like walkovers, donkey kicks, handstands, jumps, leaps and Somersaults.Our balance beam is very stable on the floor. 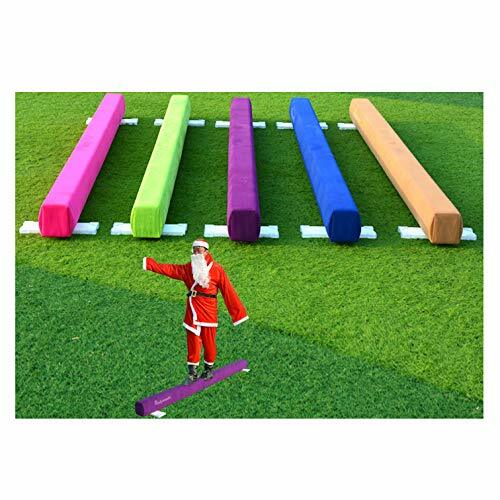 PACKAGE INCLUDED: One balance beam in the pack. SAFETY: Complies with the American Consumer Product Safety Improvement Act (CPSIA) for lead and phthalates. Non-toxic, non-absorbent and mildew-resistant. APPLICATION:From 18 months to 18 years old, from toddlers to Level 6 gymnast, especially someone who wants for professional training at home. It is Ideal for skill development like walkovers, donkey kicks, handstands, jumps, leaps and Somersaults. WE KNOW BEAMS BETTER:With our co-operated clubs and more than 10 years of experience in making beams, we know the advantage of every raw material and will always bring you the right one, just feel free to contact us. 【SAFETY & TWO YEARS WARRANTY】: Complies with CPSIA for lead and phthalates. 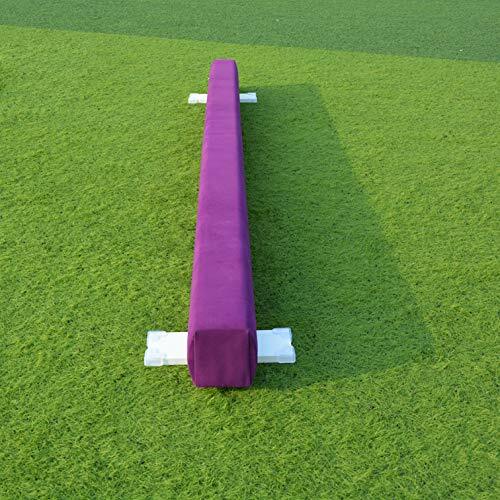 Our Wood floor beam is covered with high quality synthetic suede, 2 layer, which is similar to the competition beam. This is super long time using beam. 【STRONG WOOD LEGS WITH SILICONE FEET】：Our wood legs will last longer and perform better. Soft silicone feet will protect the wood floor and stop any moving during practice. 【TO MAKE THE HEIGHT ADJUSTABLE WITH PREDRILLED HOLE】:The height of the beam can be adjusted from 17”-23” with our adjustable base which will be online soon. So you do not need to buy a new beam, just to buy an adjustable base for the current beam.